PAT PILCHER headed to the launch of Samsung’s flagship Note 9 to bring us a first look at the phone. Samsung sailed against the wind with the original Note. At the time, Apple was saying no one would ever need a stylus and those five meatsticks on the end of your hand were all you’d ever need. Nine iterations later, the Samsung Note has a devoted following, along with a tonne of specialised third-party apps designed to take advantage of the stylus. 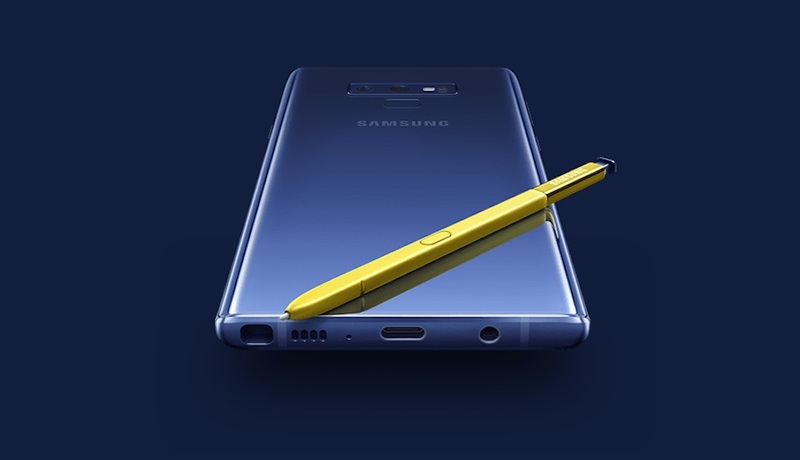 The Note range is Samsung’s flagship phone, and the Note 9 is a powerful example of what also happens to be a computational powerhouse. It’s got a capable and smart camera, accurate handwriting recognition and arty fun with the S Pen, and it’ll also connect a monitor, keyboard and mouse to become a highly pocketable Android desktop computer with the Samsung DeX connector. In short, the Note 9 is about to drop, and its big news. 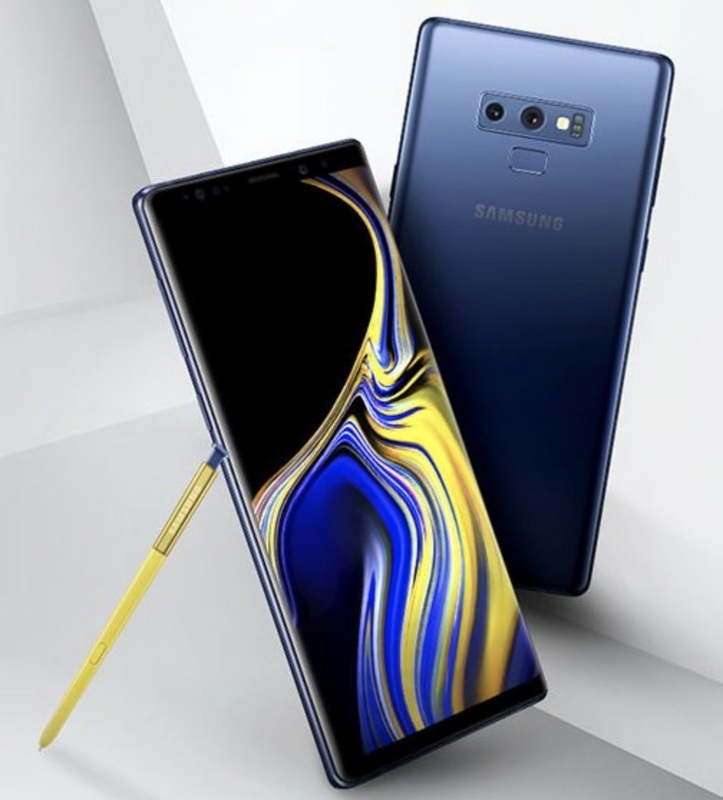 Samsung unveiled its Galaxy Note 9 in Auckland last week – and it’s no shrinking violet, sporting a 6.4” display, mahoosive 4,000 mAh battery and, wait for it, half a terabyte of built-in storage (expandable to 1TB with the addition of a 512GB microSD card). There’s a lot to like and a few question marks, but overall, the Note 9 is a powerful piece of hardware that few others have managed to match. If that’s the good news, let’s get the not so good news out of the way. If you were hoping for a fresh design, be prepared to be disappointed: It’s almost impossible to tell the difference between the Note 9 and the Note 8, even if there are one or two subtle changes. Samsung has, thankfully, moved the fingerprint scanner, so it now sits underneath the camera rather than next to it. This means no index finger smudges on the camera lenses. Not a biggie but it is appreciated. 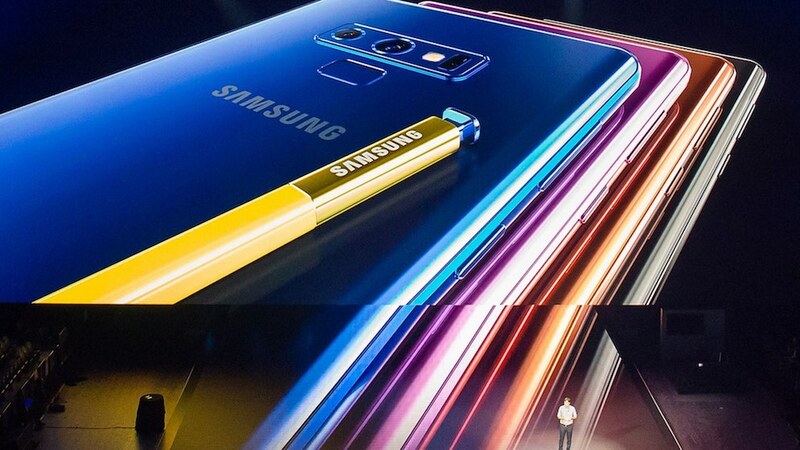 They’ve also opted to keep the Note 9 equipped with a headphone jack, and SD cards are also supported. These might not be ground-breaking, but it is nice to see them there when so many other smartphone makers are dumping them to pinch a few extra pennies. The display (as you’d expect from a Samsung device) is stunning. While it is the same resolution as last year’s Note, it is slightly bigger – 6.4″ vs 6.3″. The bump in size might not sound huge, but it really ramps it up a notch. Switch into full-screen mode, and you start to realise that this really is a big screen. If Netflix on the go is your guilty pleasure (its okay, your secret is safe with us! 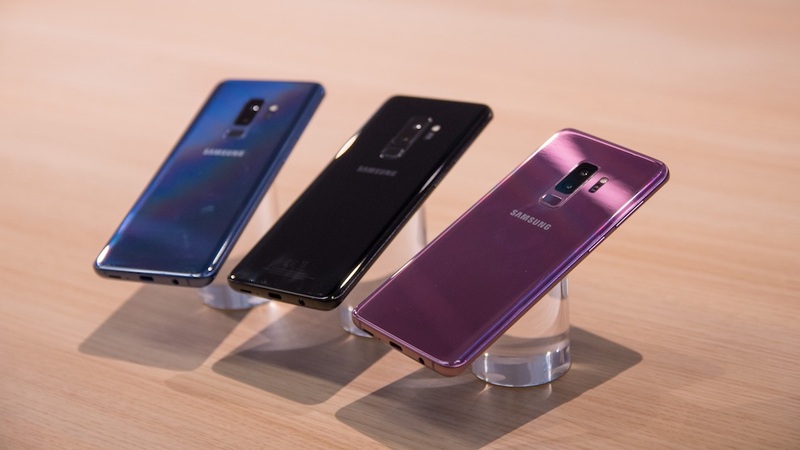 ), then the Note 9 might be just what you need. The deep blacks and vivid bright whites mean that there is plenty of contrast. This gets helped along by the vibrant colours on offer with the OLED display which makes detail really pop. The S Pen is surprisingly fun and useful. Once you’ve mastered the Samsung interface, it really speeds up getting text into the phone. If, like me, you find using on-screen keyboards about as much fun as trimming nose hairs with a chainsaw, then you’ll probably love being able to quickly scribble text and have the note convert it into surprisingly accurately text. The S Pen also has another neat trick – it uses Bluetooth Low Energy. This means it’ll work as a remote shutter button for the camera, so you can take selfies or groupies (is that even a word?) from up to 30 feet away from the Note 9. It’ll also act as a remote for presentations, assuming you have the Dex adaptor cable as well. 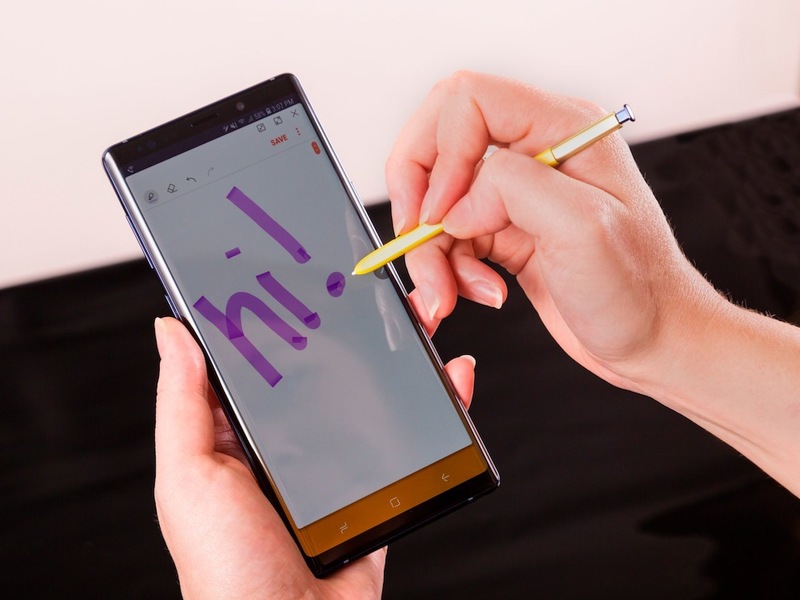 I also discovered while briefly playing with the S Pen at the launch that they come in the colours of the phone (lavender, black and copper) and this is also reflected by the default colour of their on-screen ink. Having equipped the Note 9 with the same crazy good low light shooting chops of S9’s camera, Samsung has also baked in artificial intelligence into the camera as well. This isn’t yet another pointless piece of marketing specification spin. In the case of the Note 9, AI isn’t the PR equivalent of a blonde dying their hair brunette. It really does extend the functionality of the camera to produce beautiful snaps with minimal human intervention. Samsung appears to have taken a leaf out of Huawei’s book. AI can detect what you’re pointing the camera at and tweak camera settings to deliver the best results possible. Point the phone at food, and it’ll switch to food photography mode, point it out the window, and it’ll switch to scenery and so on. AI is also used in post shooting image processing to alert you if the image is blurry, or if the subject being photographed blinked. While it is hard to form any meaningful views with the brief look I had, the addition of AI in the camera certainly feels like a step in the right direction. Samsung has also killed off the Dexpad dock, replacing it with a much more portable USB C to HDMI adaptor cable. Being able to pair your phone with a keyboard and mouse and to hook its cable into a monitor means the days of laptop lugging leading to chiropractor visits are all but over, even in this age of hotdesking. With MS office apps installed, the Note 9 delivers the best bits of a Chromebook experience, and the usual drawbacks of a Chromebook don’t apply. Add to this wireless charging and the IP68 water resistance we’ve all come to expect from Samsung, and there’s a lot to like. Camera and stylus aside, other features also add to its appeal. Watch this space for a complete review of the Note 9!